As the club begins its transition towards a full-time model, the club are announcing the advanced departure of long standing manager Jamie Sherwood following the final league match of the season on 20th May. 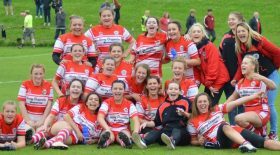 Joining midway through the 2014 season, the club has seen year on year progress on the pitch, which culminated in winning the FA Women’s Super League Two division in 2016 and then promotion to the top tier of the women’s game. Still competing in the top tier, but under a part-time status, Sherwood and his side have committed to big changes in the 2018/19 season, which will undoubtedly help performances and results in what is a very competitive league. With 11 league games still remaining and 5 of them at home, Sherwood and the club felt the time was right to release this news now so that the club could begin preparations immediately in finding a long term replacement to follow on from the success over the last 4 seasons. Speaking of this announcement, Jamie Sherwood said “Every decision that I’ve ever made has always been for the stability, growth, and development of the club and this decision can be treated no differently. “It is important that the club has an idea of my future plans as this can now create the timing for a new appointment that can still assess the current playing group as well as the support which is around them. “Yeovil Town Ladies FC is my home and I fell in love with this club the moment I met it. To watch it grow from such a privileged position has been truly magical. Club Chairman Steve Allinson said “There is never a good time to release news of a management departure, however, both the club and Jamie wanted to be proactive, open, and honest to allow the opportunity in finding the best possible replacement. Someone who is going to carry on the excellent work already carried out by Jamie over a long and successful period of time. “There is no-one more emotionally attached to Yeovil than Jamie. This decision has been an extremely tough one to make but one which is correct to announce at this time – taking into account both his personal reasons and the realism of the new structure and environment. 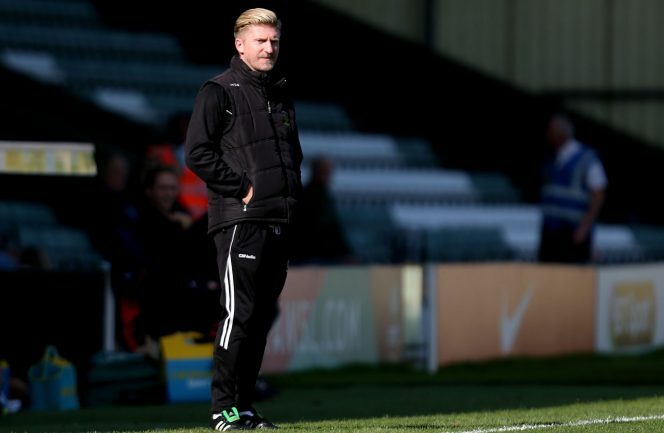 In terms of the looking forward, Allinson added, “We are in discussions with Jamie with regards to him moving in to a role at the club at a senior level and at this stage we wouldn’t rule out a potential position as a Director at Yeovil Town Ladies FC. We aim to keep everyone posted in that regard. The club’s application process is now open for this position, with the deadline to apply at 6pm on 23rd February 2018. To find a Job Description of the role and how to apply, please click here. Interview dates are week commencing 19th March 2018.